We initially thought Annique was a departure from the Asphalt Tango label’s oft anticipated Balkanik/East of Europe centred catalogue – here they present a cheeky soul singer Essex born and bred, with words of wisdom to impart through the pop of her bittersweet bubblegum. But with shimmering accordions and brass instruments padding through songs of a yesteryear European age their connection becomes apparent. Annique has worked with artists you have definitely heard of including Gorillaz and The Streets. When you discover that the album was borne from the fruits of a collaboration with Koby Israelite – a multi-instrumentalist aficionado of Balkan/ Klezmer/ Classical/ Rock styles (and then some!) – you know there’s a good chance ‘Heads Up’ is not going to be humdrum. With the track ‘Loved Not Understood’ Annique grabs us by the scruff of the neck and throws us into a James bond themed swinging party framed with doo-wop harmonies. The musicians sound like they’ve been picked up on a road trip around Europa and brought back to the UK to be part of this, what is…a London soul funk band. We’re thinking perhaps elements of Alice Russell, East Park Reggae instrumentation and Edith Piaf. 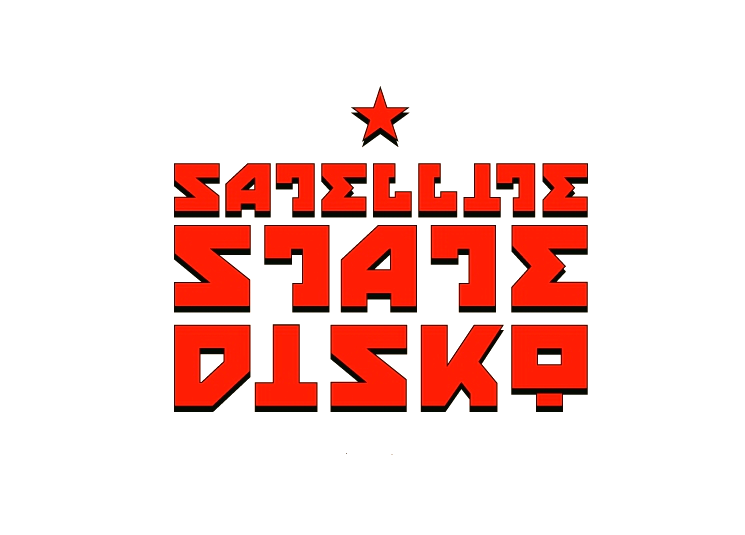 There was considerable debate between the Satellite State Disko DJ’s Wondergupta and Wellington Wobble on Annique’s vocal influences: Wobble thinks that Adele had got in on the act, and Wondergupta felt Annique may have spent her years poring through a vinyl collection of classics like Sarah Vaughan, Ella Fitzgerald, 60s soul and chanson. It’s probably somewhere in between. The album is underpinned with nostalgia and pastiche throughout, but with evocative instrumentation ranging from subtle piano pirouettes to lavish strings and brass it works a treat. The music is full of twee arrangements with some pop sensibility – but this is done intentionally, with humour and in cabaret style. And judging by some of Annique’s live performances on Youtube she has a lot of fun with it. But counteracting the musicboxes and lace-trimmed arrangements there is also a dark dusky edge that seeps through smoldering reflective numbers like ‘Never Forget the Times’. The track ‘It’s Life’ breaks Annique’s saccharine trickle of “la, la, la” with an abrupt cacophonous piano wham in brilliant comic timing. Swinging through this modern vision of influences sourced from the 1930s onwards: Burlesque, bright and dressed up to the nines – Annique has power and energy in her delivery. Just as we start to wind down, we are embraced by a nourishing slow waltz which is passionate, emotional and intimate. The engine starts and we are off again cruising through quaint European streets, the sun shines, and our hair blows behind us in the breeze….but before we know it the album spins into a smoky, seedy cabaret club, seduced by ambience, wormwood cocktails, plush velvet, and fascinators. Annique brings you her story with moments made to make you smile – like a Cockney pearly king and queen rendition of ‘Maybe It’s Because I’m a Londoner’ introducing the exhilarating ‘London’s Burning’ written about the 2011 London riots. The voyage of the album swirls like a waltzer serenaded by the brass section which we follow like a silk hankie blowing down the street in the wind. Annique conveys poignant emotional honesty through songs like ‘Whisper’ and ‘No Man’s Land’, which only makes her all the more endearing. But then with the more upbeat numbers like ‘Falling’ we do as we are told and strut our stuff alongside her, backed up by the brass and strumming guitar reinforcing her every statement. Don’t mess with this lot. They know what they want, and like it or not it’s hard not to be invigorated by their style and panache. This is good UK festival music. Whether we will be going on that journey with it on a regular basis remains to be seen, but if it makes u smile its gotta be right, no? Wishing Annique all the best!!! !